Kick start your day by drinking a glass of fresh lemon water (lukewarm water is preferred). It will purify your liver by increasing the secretion of enzymes, which will eventually improve the metabolism of fat to a great extent. Prepare a cup of cranberry syrup by mixing unsweetened cranberry juice with water and drink it throughout the day. The organic acid components of the juice work as emulsifying agents and remove the stubborn fat deposits by digesting the lymphatic wastes. Eating omega-3 fatty acids-rich fishes like salmon, tuna, mackerel, halibut, etc. at least twice a week can help you break down those hard-to-reduce fat deposits around the waistline. You may also consume a tablespoonful or 6 gm. of fish oil every day as a reliable alternative. If fish or fish oil does not suit your taste buds, go for chia seeds. They are an excellent source of omega-3 fatty acids, antioxidants, minerals and dietary fibers, which keep us full for long and avert overeating. Just add 1 tablespoon of chia seeds to your breakfast cereals, salads, smoothies, soups, gravies or yogurt daiily. Prepare your cup of morning tea by boiling sliced ginger in water and adding honey as well as lemon juice to it. Being a natural digestive and thermogenic agent, ginger can aid digestion, keep our body warm, prevent overeating, cure age-related hormonal issues, lower stress level and hold back the production of the steroid hormone cortisol. All these are extremely helpful in fat reduction. Have a few garlic cloves in the morning followed by a glass of fresh lemon water. Doing it regularly in an empty stomach will help in preventing the method of adipogenesis i.e. transformation of the pre-fat tissues (pre-adipocytes / pre-lipocytes) into the fat tissues (adipose), thereby making the process of fat removal easier. Make your own fat-burning herbal infusion by soaking 1 sliced cucumber, 1 sliced lemon, 1 grated ginger and a few mint leaves in adequate water for the whole night. Consuming this throughout the next day will help you in deep cleansing your internal system, enhancing blood circulation, boosting metabolism, and decreasing food cravings, which eventually burns stubborn fat. Replace your regular tea with organic green tea for making the most of your fat burning efforts. The EGCG or epigallocatechin-3-gallate (a type of catechin) component of the item can accelerate our metabolism, thereby promoting the procedure of fat burning greatly. Stop eating just for the sake of eating. 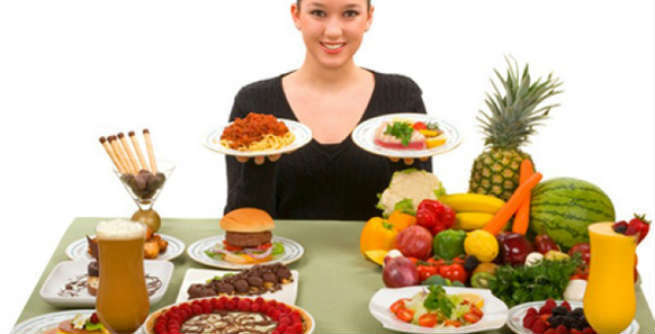 Make sure that you are really hungry before indulging in your favorite foods. When it comes to filing your stomach, opt for fresh fruits, veggies or even plain water. Skip carbohydrate and sugar-rich foods in your breakfast. Rather, eat lots of proteins and healthy fats like milk, fresh fruits juices, eggs, bacon, etc. Make it a habit to have your dinner at least 3 hours prior to sleeping. It will aid metabolism and avert your body from storing nutrients as stubborn fat deposits.